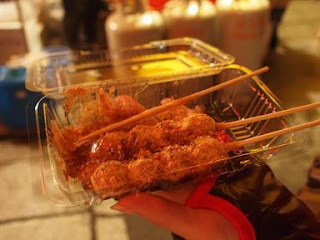 On 3rd of March, there are Hinamatsuri in Japan. We now have setted those dolls in 3 different places in our Ryokan. One in the front of entrance. If you are staying with us until March, please have a look at it! Our Ryokan have new facility in our rooms now. We now have washlets in our room. It is the one of the strange thing that foreign tourists experience when they first visit Japan, and finally we have that in our rooms now! This last two days, it was snowing all day in most area of Kyoto. Usually central Kyoto, where our Ryokan does not have much snow. However day before yesterday and yesterday morning, building around our area are covered with snow. Now it's all gone and this week gonna be warmer but with rain. We went to Nabana no sato in Mie-prefecture for our new year company trip. It has a huge garden and famous for the winter light up. Setasubun means seasonal division and from past it was believed that during the change of season there are evil spirits appears. 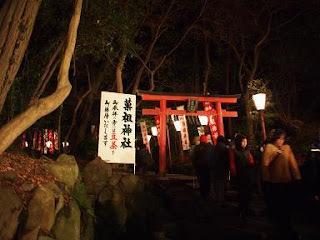 To drive out these spirits there are many festivals and rituals held in all over Japan. 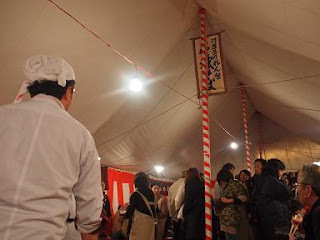 Most popular ritual is called Mamemaki, where throw roasted Soy Beans and call out "Oni ha Soto, Fuku ha Uchi!!" (Demons out! Luck in!). It was believed that Japanise demons (Oni) brings evil sprits. So, there are also rituals that literally exsorcise Oni. 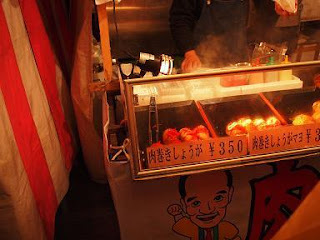 It's called Tsuinashiki and it was believed it started from Yoshida shrine in Kyoto. 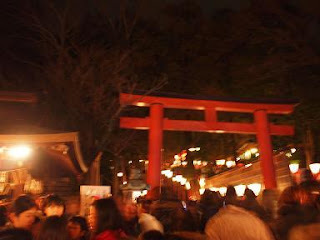 The festival in Yoshida shrine are held during 2nd to 4th of Feburary, and in 2nd Feb night this ritual are held. We found good video describing this ritual. There are 3 Oni (people dressed up as) and one Oni looks like person called "Housoushi", but he is not evil he is the man with justice and exterminates Oni. At the end the arrow shot from oracle purifies the field to finish the ritual. Unfortunatelly, we couldn't take good picture of it. There are pictures of how the festival looks like tho!